I just got my new Cinelli Mash Historgram! 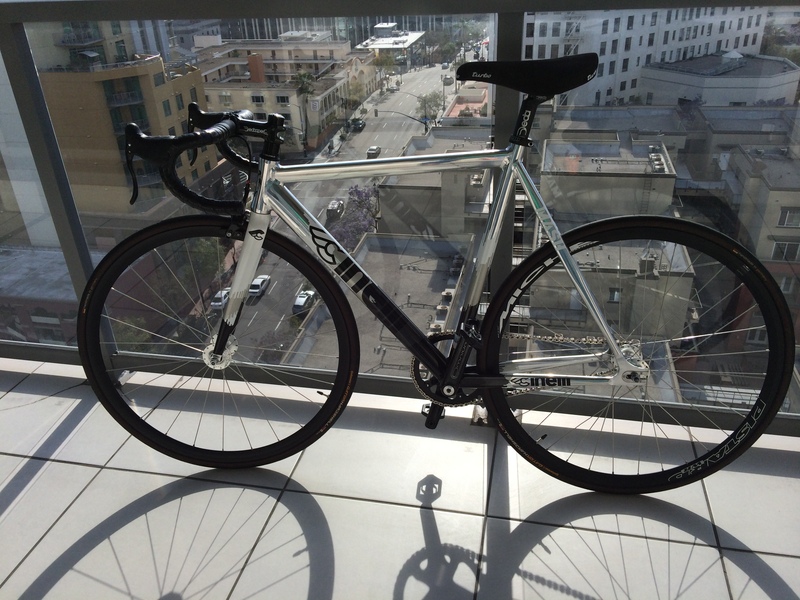 This is the first new, good bike I’ve bought since 1986, when I bought a Bianchi Trofeo for $800. My new Histogram costs about the same, after adjusting for inflation. I’m now riding fixed-gear (no coasting), but I still have a front brake. I’m getting used to the feel of being directly attached to the wheel with SPD pedals. I’m not ashamed to say I’ve fallen twice @ 0 mph trying to come to a stop. I can’t wait until it all feels natural, including the skid stops.